From one of Spain’s most famous magicians comes elegant yet surreal mysteries for the very first time in English. 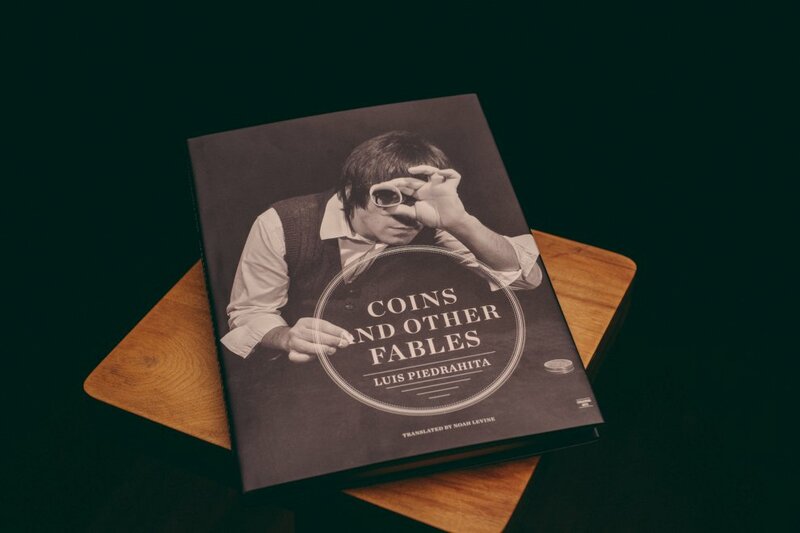 Coins and Other Fables by Luis Piedrahita is far more than a book of coin magic. Through the lens of his masterful routines one can learn how Piedrahita approaches the construction of magic. Explained within the book is not just the technique, but also the exciting thinking behind it. Luis Piedrahita cleverly creates the most stunning effect possible by combining many methods using sleight of hand, gaffs, and psychology. Coins and Other Fables is the intersection of memorable magic, sleight of hand and inspiring creativity. The book is beautifully printed on archival paper especially made to reproduce photographs. The signatures are sewn and there is a ribbon bookmark bound in. It’s also bound to open flat for ease in study. The pages are fully varnished throughout with stunning black and white illustrative photography. In his native Spain, Luis Piedrahita is a household name due to his regular appearances on Spain’s most popular television show, El Hormiguero. While his magic is filled with off beat thinking and creative approaches to classic plots, his skills are not limited to magic. Luis Piedrahita has also found success as a director, scriptwriter, and author. Piedrahita was recently awarded the Academy of Magicial Arts Performing Fellowship. Coins and Other Fables can be purchased HERE.